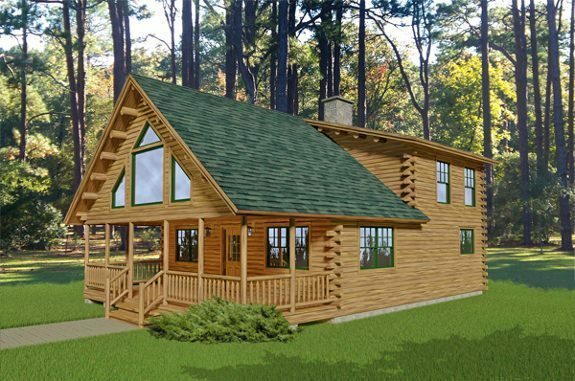 The uniquely designed Denali Cedar Log Home builds upon the classic layout of the Bristol. The Denali is 1,600 sq. 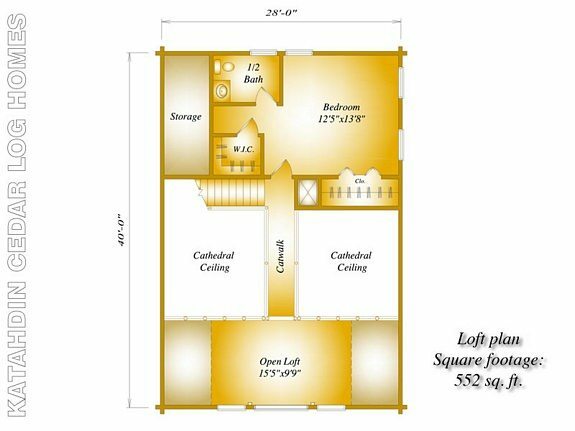 ft. and has 2 bedrooms with 1.5 baths. The unique dual pitch roof creates ample loft space while leaving the main floor very open and airy. The uniquely designed Denali Cedar Log Home builds upon the classic layout of the Bristol. The Denali is 1,600 sq. 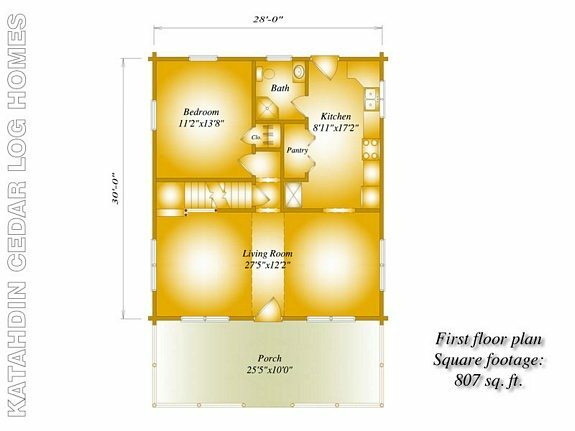 ft. and has 2 bedrooms with 1.5 baths. The unique dual pitch roof creates ample loft space while leaving the main floor very open and airy. The catwalk and the cathedral ceilings only add to the spacious feeling of the main floor and the entire log home.